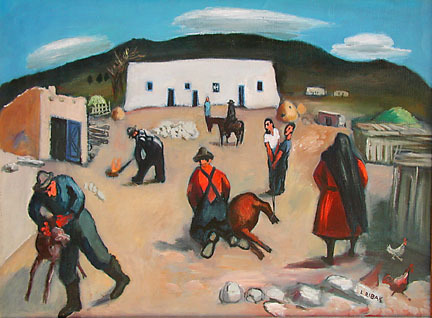 Ribak married Taos artist Beatrice Mandelman in 1942. "not truly anything. I am against everything. Damned abstract[ionists], realists, illustrators…"
Parsons does not offer Louis Leon Ribak prints, because no print can compare to the real paintings.